The New Year has a way of getting most people amped up to make some serious changes to their life. Whether its health, fitness, or budget changes, too many resolutions can bog people down with the pressure to fulfil. Why not focus on one goal to start the year: clear skin. If you haven’t yet taken steps towards a clearer you, we can help deliver a refreshed and more confident you, and provide you with the tools you need to finally put breakouts behind you. We’ve helped over 20 million people worldwide get clear skin, so why not you? To achieve any goal, you must have patience. This applies to skincare goals, too. But don’t stress, you are not alone and we are excited for you to take this first step. For those who are well and truly along in their clear skin journey, perhaps you have some words of encouragement you could share to help others on theirs? We’re here to empower you to live the happy, healthy, balanced lifestyle you all deserve. With healthy, glowing skin, you could be on the top of your game for 2017, with no resolution expectations to stand in your way! 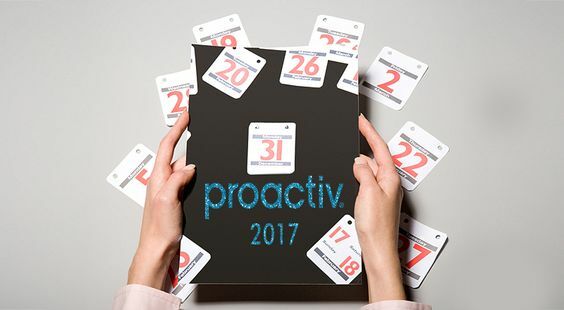 Go online to find a Proactiv solution that’s right for you and together, we can make every day a good skin day! See you on the clear side!